Key to the Cure is a nationwide four-day charity shopping event at Saks Fifth Avenue. Saks partners with local breast cancer research teams for a kickoff party with plenty of food, fashion and makeup. The kick off party is not to be missed. It’s the perfect girls night out. This year I’m part of the Key to the Cure 2015 committee (see photo above by Tracey Benson Photography) that benefits the Comprehensive Cancer Program at Jupiter Medical Center in Florida. Since the event is nationwide, google your city and Key to the Cure to find your event. In my location, the host to Key To The Cure is Michael DeSio, Vice President General Manager of the Palm Beach Gardens Saks. (He is guy in the photo.) The Palm Beach Gardens’ 17th Annual Key To The Cure event is on Wednesday, October 14. For more information call The JMC Foundation Office 561-263-5728 or register online at the Jupiter Medical Foundation. Motowners, the event in Detroit is Thursday Oct. 15. Ina Levinson is the the Vice President General Manger at the Somerset Saks. For more information, visit this site. Every year a fashion designer creates a unique T-shirt modeled by a celebrity. This year the designer is Jason Wu and the celebrity ambassador is Julianne Moore. This photo is in the new Saks catalog, and the T-shirt can be purchased. This is a great cause and a great event! Some boots are made for walking and others are made for a cause. Meet my new friend Bonnie Murphy. She’s a physician and a fashion designer. What a great mix! 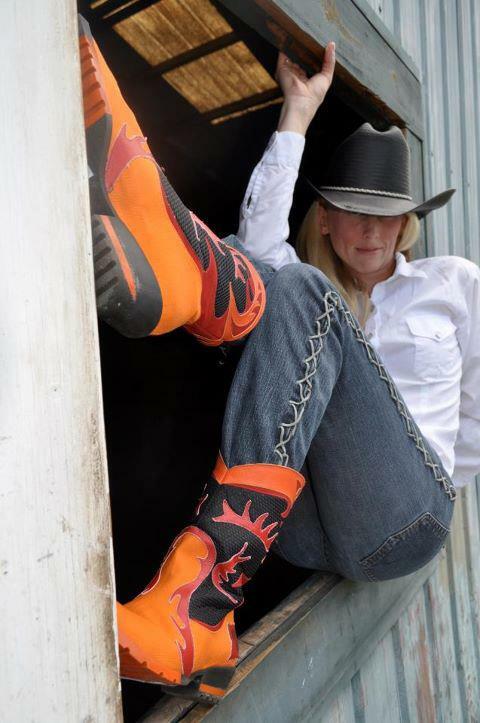 Her website is www.bonbonboots.com, and she donates 10 percent of the sales to research in breast cancer, ovarian cancer, melanoma and multiple sclerosis. Just look at these dynamite styles!